BOOM! 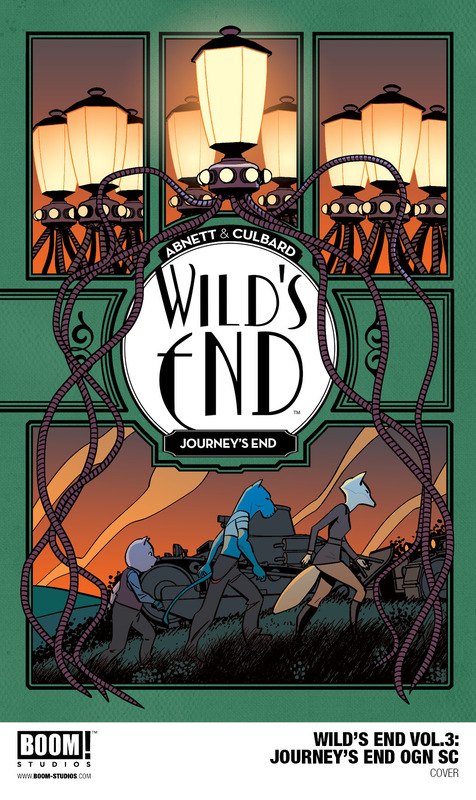 Studios is proud to announceWILD’S END: JOURNEY’S END OGN (original graphic novel), the conclusion to the celebrated, anthropomorphic, sci-fi graphic novel trilogy, in stores June 2018. Written by Dan Abnett (Guardians of the Galaxy, Aquaman Rebirth) and illustrated by I.N.J. 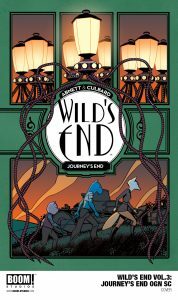 Culbard (Doctor Who), WILD’S END: JOURNEY’S END reveals powerful acts of humanity persevering in the face of war on a worldwide scale.